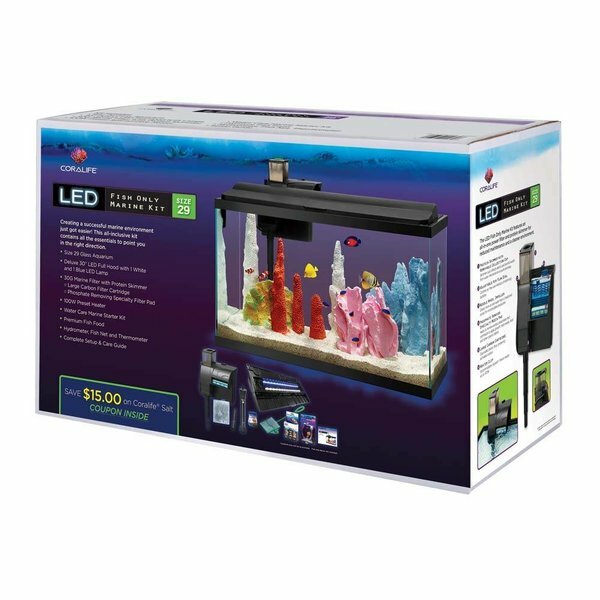 The Coralife LED Aquarium kit provides a more economical option for those who want to get started with a saltwater environment but are not ready for the investment of a BioCube. 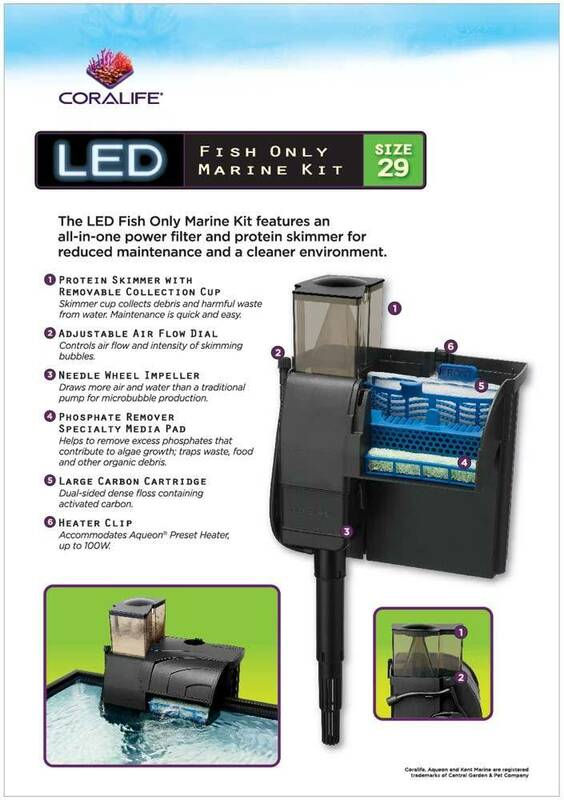 The full hood LED lighting, Coralife filtration and an array of other accessories and supplements help create a successful marine environment for your fish to thrive. Size 29 Glass Aquarium. Deluxe 30in LED Full Hood with 1 White and 1 Blue LED Lamp. 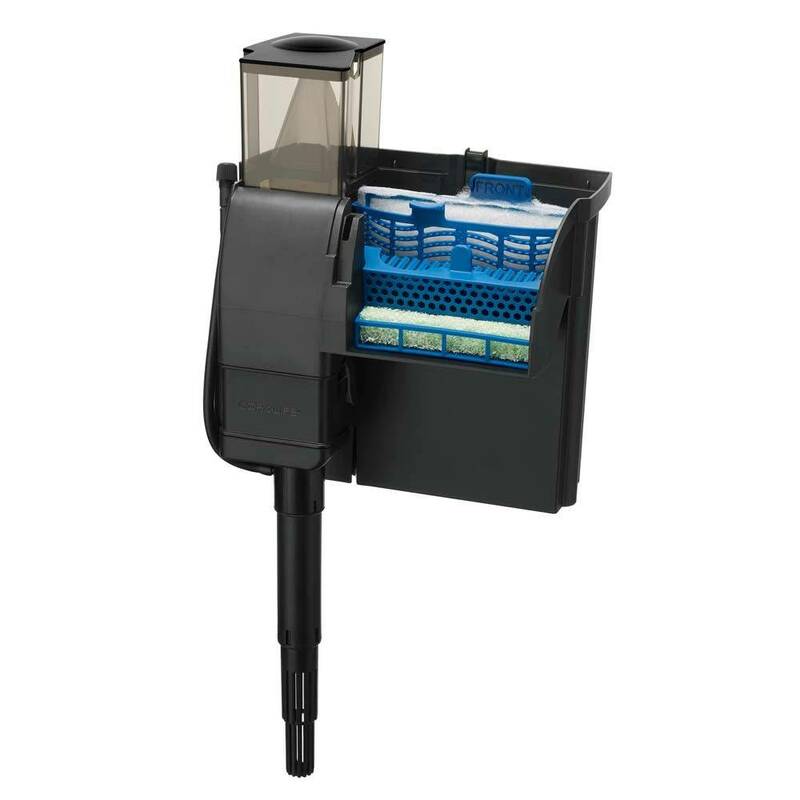 30G Marine Filter with Protein Skimmer. Large Carbon Filter Cartridge Phosphate Removing Specialty Filter Pad. 100W Preset Heater. Water Care Marine Starter Kit Includes 4oz. bottles of Essential Elements, Pro-Ammonia Detox and Pro Buffer dKH Marine Fish Flakes, Hydrometer, Fish Net and Thermometer.